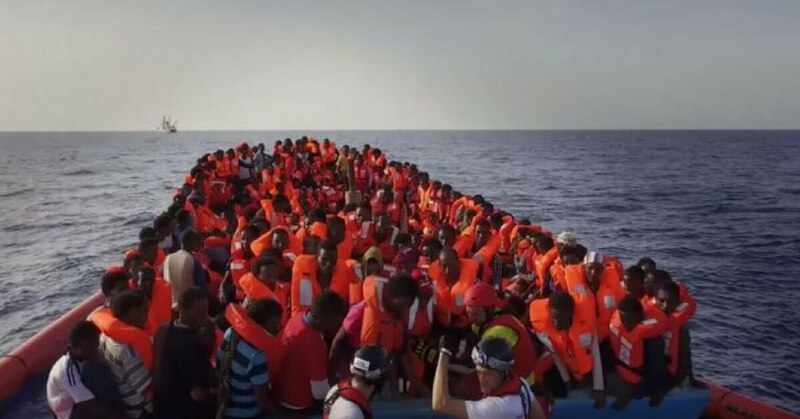 Above: Asylum seekers flee their homeland by boat, captured in the documentary ‘Human Flow’. This is the urgent plea of the stunning new film, Human Flow – a challenging documentary exploring the global refugee crisis that’s now impacting much of the planet. Created by the Chinese activist-artist Ai WeiWei, the powerful film takes viewers to 23 different nations, into the devastating heart of human displacement—which over 65 million people are now suffering. Aiming to soften peoples’ hearts, break down prejudices, and remove ignorance and fear, it’s hard to watch without being moved. The seed for Human Flow was first planted in WeiWei, when he was holidaying in Greece, and witnessed the sight of desperate, fearful Syrian refugees arriving ashore on boats, seeking asylum. “They dress differently, they speak a different language, they’re very different, with a foreign look and accent,” recalls WeiWei in an interview. “They came with children, women and elderly people. You can see in their faces that expression of uncertainty. They’re scared…[and] have no idea what they would get in the new land. That look made me really want to understand them, to see who are they and why they have to go so far away, risk their lives—to a place they don’t understand, and where nobody understands them. 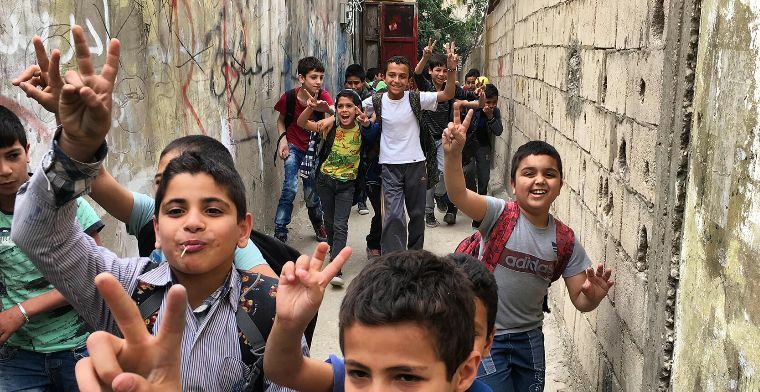 Human Flow was made by a team of 2000 crew and researchers, examining the human crises resulting from war in Syria, Iraq, Afghanistan, Israel-Palestine, Africa, Bangladesh and more. It contains incredible, impacting images. Thousands of stateless Syrians walk across endless miles of green fields in Europe, directionless and seeking a place to call home. 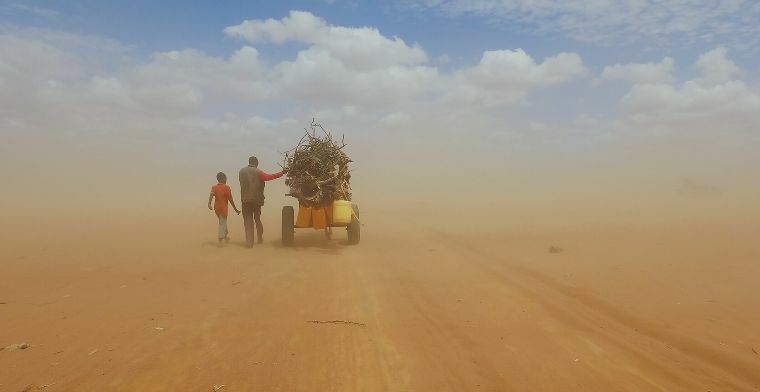 A destitute family in Kenya struggles across an apocalyptic-looking desert in a dust storm. Throngs of humanity cross rivers, huddle in tents, cling to life in boats, wait on docks, shivering in the cold for an unknown rescuer. Above: A displaced family struggles through a dust storm in Kenya. Seeing these sights made for a very emotionally troubling filming process, says WeiWei. And because of the condensed nature of film, the end result really doesn’t even begin to tell the whole story. WeiWei believes when humans are divided and afraid of each other, it sows the seeds for catastrophe. He hopes his new film will break down these fears. “If as a human being we don’t understand that we are as one, that humanity is one…we are deeply in trouble,” he said. “And that’s why we would have walls, and misunderstanding… and hatred. That divides people and puts our future into shadow. And that is really, really horrifying. The film makes the point that when refugees are ignored, and treated badly by the nations that host them, that is when resentment and the seeds of future wars are sown. 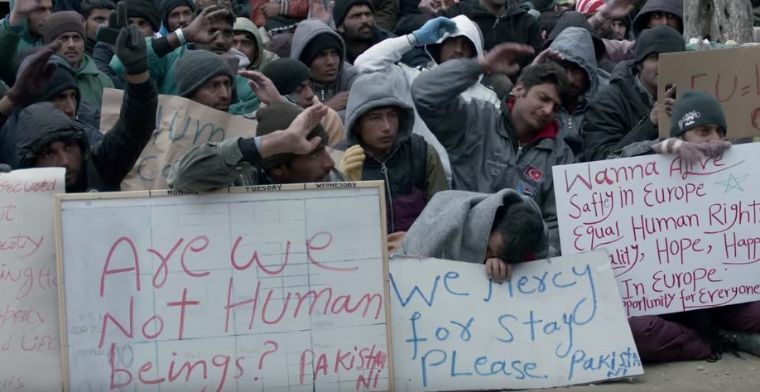 A plea for help: Pakistani asylum seekers. “If children grow up without any hope, without any prospects for the future, without any sense of being able to make something out of their lives, then they will become very vulnerable to all sorts of exploitation including radicalisation,” says one interviewee. WeiWei’s passionate hope, is that his film will help people realise refugees and asylum seekers are no different from anyone else. While it’s a heavy topic, WeiWei remains optimistic about the future. Human Flow can be seen in venues around Australia with screenings on Monday, September 10 at Event Cinemas Miranda; on August 20 in Toowoomba, QLD and on September 5 in Cannington, WA.